Last year, I had extensions done before our ten-week around the world trip. However, they can only last a maximum of forty-five days, the life cycle of an eyelash. Obviously not all your eyelashes come out at the same time, which is why you end up having not an even set after some weeks. Because we were going on a cruise from Honolulu to Sydney last October, I ended up having some eyelash extensions done in Las Vegas. I was bitterly disappointed, because although they were not cheap they only lasted a week before they all fell out; the glue must have been rubbish. On our first day in Patong, Thailand, at Jung Ceylon Shopping Centre I found a salon called HAIR DECOR. Eyelash extensions were advertised on the window for 1200 THB, the equivalent of AUD$40. With no bargaining in actual shops, I figured for this price it was worth a punt, even if they only lasted the duration of our ten-night stay. If we are going on a cruise, eyelash extensions save the need for mascara and helps avoid panda eye syndrome. If you go in the pool you come out looking pretty good. When I get them done in Australia they can cost $100 – 120. I consider it a great investment in the comfort and vanity of a holiday! After all, does being vain ever really take a vacation? 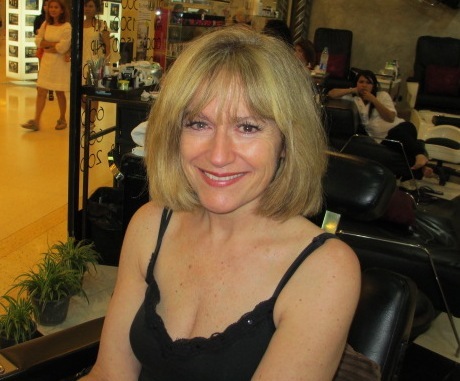 They had taken a “before” photo for me , and then I was so tired from the overnight flight that I ended up falling asleep in the chair while the Thai beauty therapist worked on my eyes. I was very happy with the result, but would they last? Weeks later they are still going strong. Just be aware, as they grow out and fall out, your eyes can be a little itchy, but it’s also hayfever season here in Melbourne, so that can add to the slight discomfort. All in all, I would recommend Hair Decor for eyelash extensions. This entry was posted in Activities, Thailand and tagged beauty, eyelash extensions, eyelash extensions Patong 2012, Hair Decor, Jung Ceylon Shopping Centre, Thailand. Bookmark the permalink. Sandi, something I just noticed in one of these pics. Do you have Different eye colour. It sure does look like it. Very special if you do, as our son in law has different eye colour. And I always knew he was special. 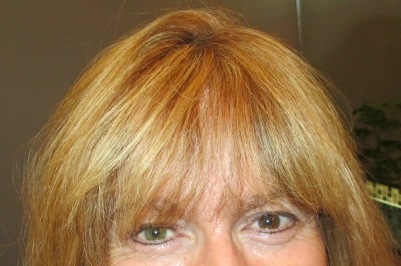 Very astute of you – although they are both hazel, one is greener and one is browner. Sometimes I like it, but at others I would prefer matching ones!